Ever gone to a restaurant and wondered what those tiny decorative greens are? 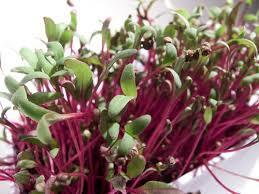 They are MicroGreens! “At equal weights, almost all of the tiny greens contained about five times more nutrients than found in the mature leaves of the same plants. 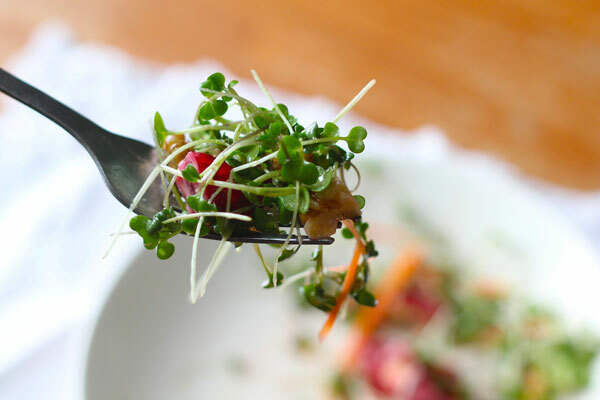 The investigators measured essential vitamins and carotenoids, including vitamins C, E (tocopherols), K and beta-carotene in 25 commercially grown varieties of microgreens, including red cabbage, cilantro, garnet amaranth, and green daikon radishes. How easy is it to grow Microgreens? “Find a south-facing window with plenty of sunlight or install an inexpensive growlight. I’ve found that a growlight mounted under kitchen cabinets works perfectly for growing greens on the counter if you have the space to do it. In warmer months, these can also be easily grown outside. Cover the seeds with a think layer of soil and spray the surface with clean, filtered water. I use an upcycled glass vinegar bottle with a misting spray top. Place on the warming mat, if using and under the grow light or near the window. 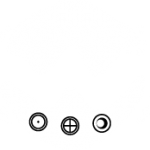 The WaterHole travels locally and globally connecting with like minds and farmers researching and studying to bring our customers the richest source of information and experience.